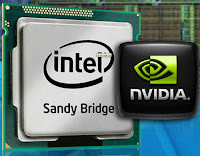 Some PC vendors ready to launch more than 200 computer products in the first quarter of 2011 which will be pinned with Nvidia GeForce GPUs with Intel's Sandy Bridge CPU chip. 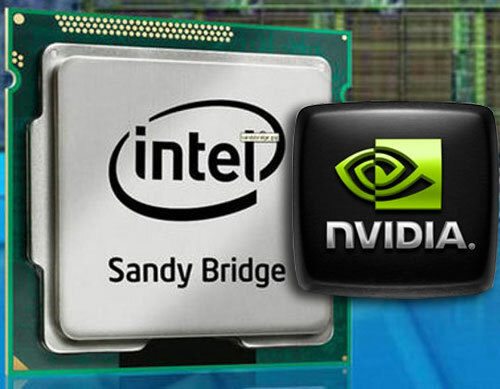 An Nvidia spokesman said that the combined GeForce Sandy Bridge is expected to be used in a variety of notebooks and desktops are manufactured by Acer, Alienware, Asus, Dell, Fujitsu-Siemens, HP, Lenovo, Samsung, Sony and Toshiba. "Demand for graphics processing power continues to grow, and computer makers increasingly turning to the Nvidia GeForce GPUs to deliver a higher level of experience with integrated graphics performance in applications such as gaming, video editing, web browsing, and 3D movies," said a spokesman for Nvidia. "Our graphics are integrated into Sandy Bridge CPU, provide enhanced features and increased compatibility with the latest PC games including those based on Microsoft DirectX 11," he added. - Supports Full PhysX physics engine support. - CUDA GPU computing architecture to applications. - Support for 3D Vision.